In 1985, students at the University of Karlsruhe had a great idea: they thought that it would be very interesting to organise a meeting for all fellow students of geophysics in Germany. This was the starting point of what is now known as GAP. The organisers at that time had to choose a name for the meeting, and it turned out to be a rather difficult decision. However, mother nature herself decided to give a little hint: the students were on a field trip to perform seismic measurements when some strange things happened. In their seismic sections, there were always some dead traces without any recorded data, i.e., there was a "gap" in the seismic gather. As a consequence (and just for fun), the organisers decided to call the meeting "GAP". Later on, the motto "Geophysical Activity Program" (in German: Geophysikalisches AktionsProgramm) was introduced such that the three letters make a meaning. The idea of the GAP meeting is to strengthen the relations among students from different universities and to get into contact with research and development and the industry. Moreover, presentations, workshops, field trips, and discussions (all of this might take place at a GAP meeting) impart the participants a lot of useful information. And, after all, the GAP meeting is a lot of fun. I hope the pictures give an impression of what the GAP meeting looks like. 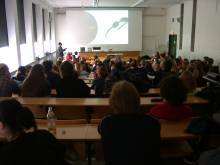 In the course of the years, the GAP has been established as an annual meeting of students of geophysics and geosciences from all over Europe. For instance, the GAP has already been attended by students from Germany, Austria, Switzerland, The Netherlands, France, Norway, Poland, Bulgaria, Czech Republic, Italy, Slovenia, Danmark, Luxembourg, and I am sure I have missed some countries. 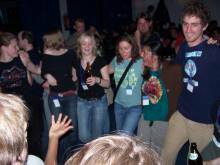 The meeting has always been supported by the German Geophysical Society (DGG). 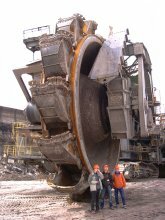 Later, big organisations like the European Association of Geoscientists & Engineers (EAGE) and the Society of Exploration Geophysicists (SEG) joined the group supporting the GAP campaign. With the help of these sponsors and additional sponsors from the industry, the GAP has confirmed its international character. Each year, the GAP meeting is (solely) organised by volunteers from a certain university for their fellow students (there are no professionals involved). This is quite a lot of work (I know the details since I was part of the organisation team in 1998) and a tremendous achievement - however, you should not forget that it's also great fun. A short list of universities which have already hosted the GAP can be found below. Many thanks to all the organisation teams! As part of the GAP activities in 1997/1998, Martin Keller and I established a mailing list at the University of Karlsruhe (TH). This mailing list, called GAP98D-L, is still active although its name has changed since then. In the nineties, it has mainly been used to provide students with information about the GAP. After the GAP in Leoben (2000), it was decided to broaden the use of this mailing list: it is now an open international mailing list for students of geophysics and geosciences used to provide everybody with information about relevant topics, PhD offers, field trips, job offers, and of course the GAP meeting. It is also possible to ask fellow students about their experiences with certain practicals, lectures, or universities, and so on. Everyone who is interested can subscribe at https://www.lists.kit.edu/wws/info/geophys_info. 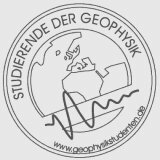 For further information and information on other student projects, please visit the homepage of the German students of geophysics at www.geophysikstudenten.de/.Have fun!